The old adage “You cannot manage what you do not measure” rings especially true in the age of digital and social media. With thousands of available tools online, many of them free, virtually every single step of your social media marketing activity can be monitored, tracked and quantified. However, knowing how to create beautiful charts and graphs of your data isn’t enough. Before you go ahead to plunge into the world of digital metrics and data analytics, you need to know where your “true North” is. What is the marketing problem that I need to solve? Is social media marketing the right digital marketing solution? What about search or email marketing? Who are the customers that I wish to reach? What are their demographics, psychographics, and online behaviours? Which stage of my customer buying journey should I focus my efforts on? Once you’ve managed to identify the answers to the above question, you can move on to the next step. 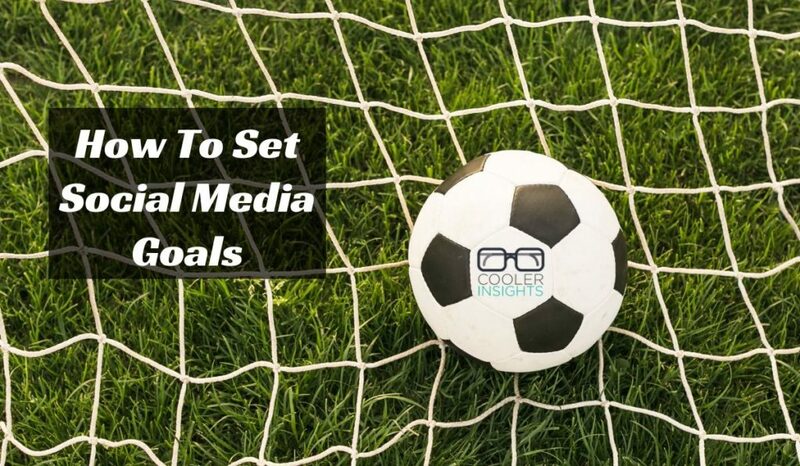 Now that you’ve nailed the pesky marketing problem on your screen, you need to establish what your precise social media marketing goals or objectives are. The best forms of goals are SMART, ie Specific, Measurable, Attainable, Realistic and Time-bound. Your objectives should support your broader organisational goals and be quantified in the form of metrics. Advocacy: Increase in number of social shares/retweets; amplify use of branded hashtags. Let us go into each of these social media objectives. Typically, these are concerned with the overall reach of your social media campaign, as well as the views or what we call “impressions” that it has garnered. Rankings on digital measurement tools like Klout (measures influence on social media) or Alexa (tracks web visitorship) also count as awareness KPIs. 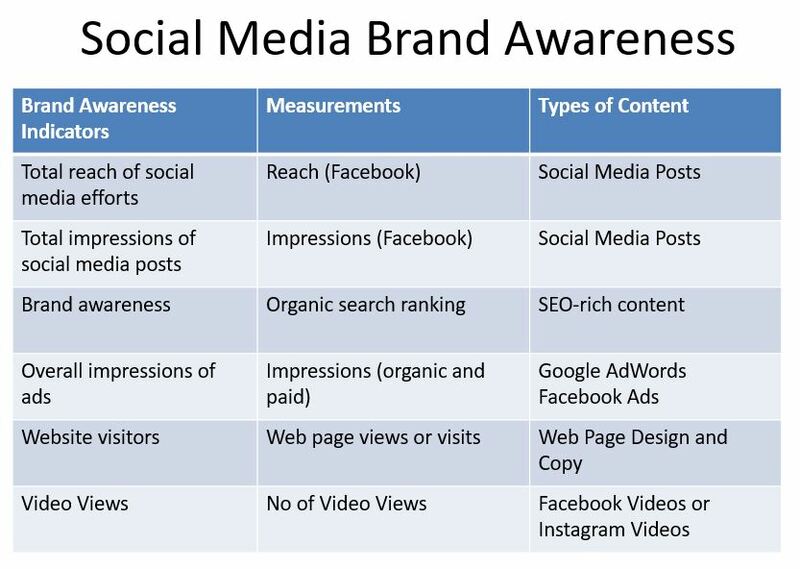 Beyond this, other indicators for awareness could include the reach of your social media posts, your total fanbase, as well as the impressions of your social ads. The types of content here includes social media posts (duh), online ads, and SEO-rich content (eg blog posts) that can help increase your brand’s visibility. Engagement or interaction tracks how good your content is in eliciting a response from your fans or followers. 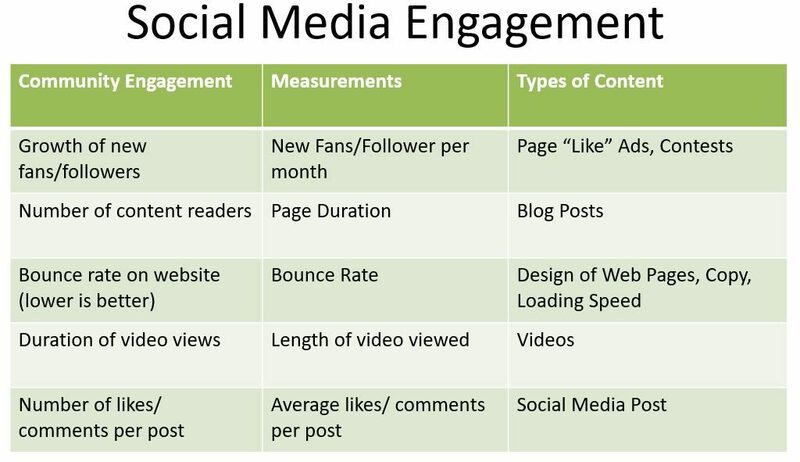 Typically, engagement is measured in terms of the growth of fans or followers, duration in which a web visitor stays on your website, number of likes per post, as well as number of comments per post. The more engaged they are, the higher your average number of likes, comments and views per post relative to competitors. Beyond social media posts, longer form blog articles and valuable videos could help improve the duration in which user stays on your page and engages with your content. Sales: This is the holy grail of all social media and digital marketing efforts. If you don’t convert, you don’t generate a sale, and if you don’t generate a sale, you don’t eat. 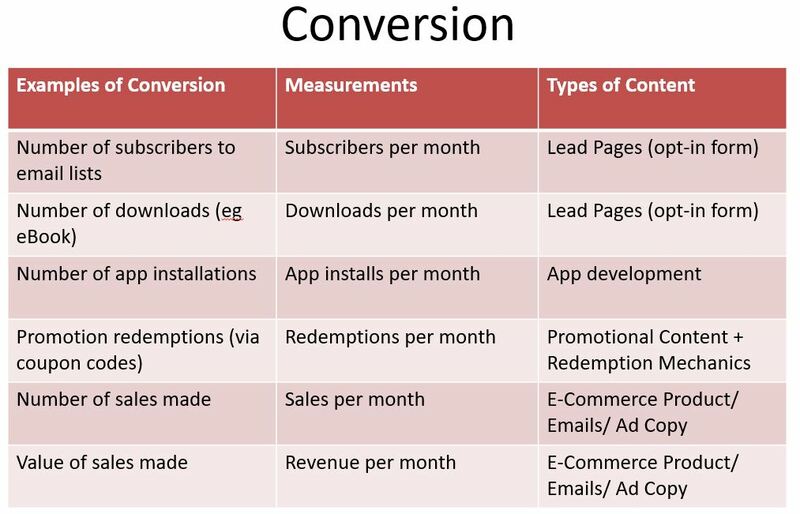 Examples of conversion include number of subscribers, downloads, app installations, sales made and value of revenue generated. The types of content here may include lead pages or opt-in forms, apps, and emails with a strong promotional component to drive sales. PS – Note that Conversions usually do not take place on social media channels (eg Facebook, LinkedIn, Twitter) themselves, and are more likely to occur either on your website, a face-to-face encounter, or event. PPS – There are exceptions to the rule above, of course! This is where the “social” element of social media marketing comes in. If you’re effective in building a loyal online community, or in creating content that adds value, you’ll have a higher chance of growing your community, triggering social sharing and virality, and improving your customer retention. 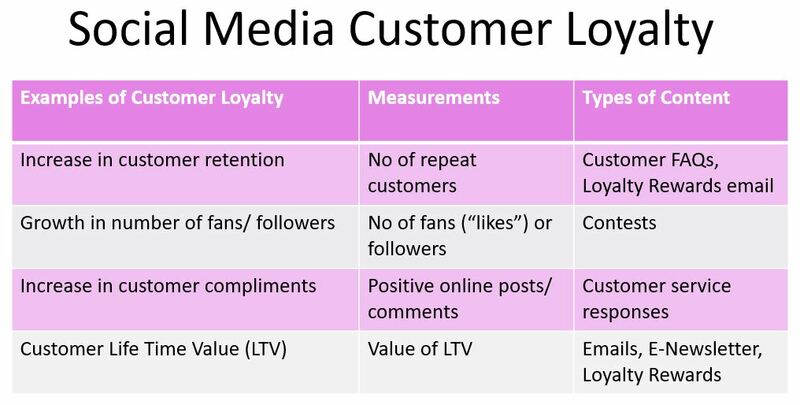 Over time, this will improve your customer Life Time Value (a topic which I will teach in my social media course). The types of content here may vary, but they typically include responsive and positive customer service on social media channels, emails to existing customers, and loyalty rewards. Triggering Word Of Mouth (WOM) and virality is what many marketing practitioners hope to do. However, it can be an arduous task when you consider the amount of viral videos, buzzworthy blog posts, and amazing photos being shared on social media every single hour. Beyond getting members of your community to share a piece of content for its entertainment value, you may also wish to consider working with influencers to grow your brand’s share of voice through earned media. This can perhaps be done through organising a campaign that encourages participants to spread the word to their social networks. 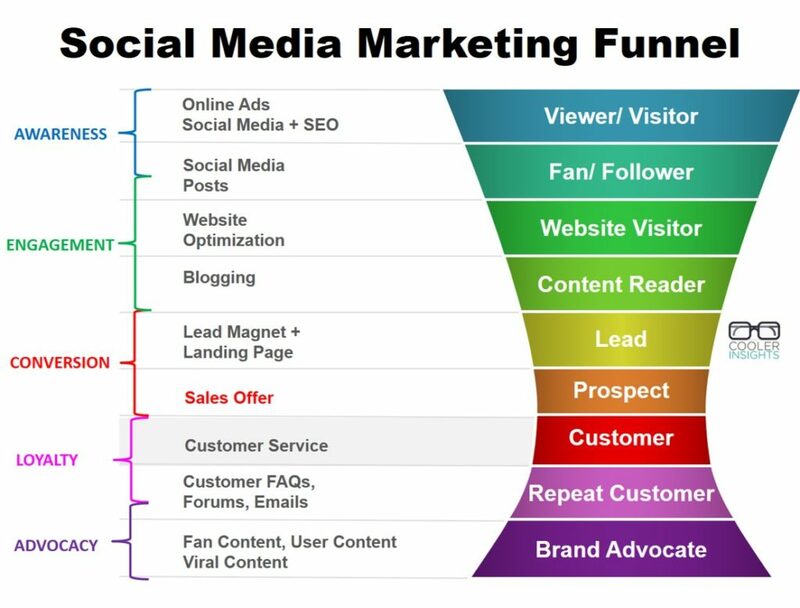 Now that you’ve learned about the five different types of social media objectives, your next task is to map them all onto what we call a social media or digital marketing funnel. In this updated version below, you can see that each progressive stage of social media objective can be found deeper in the funnel. You may also wish to categorise your customers according to the different stages of brand engagement and loyalty, from a mere viewer/visitor all the way to becoming your bleeding heart advocates below. Now that you’ve learned about how you can set the right social media marketing objectives, determine the right KPIs to measure, and develop the right content, the ball is in your court. Review what you’ve done thus far. See if there is a need to refresh and improve the accuracy of your social media marketing objectives. Set the right targets for your activities, and determine how much time, money and effort you should invest in to achieve them. What are your experiences like in social media goal and KPI setting? I’d love to hear them. Overcome these common mistakes in social media marketing by signing up for my course. Learn a 6-step process for social media marketing campaigns in a rigorous two-day training course and bring your social media campaigns to life. Great article, I found this very useful. Thanks for sharing.